One of eight limited edition heavyweight vinyl picture discs cut from original vinyl production masters in deluxe gatefold sleeve. 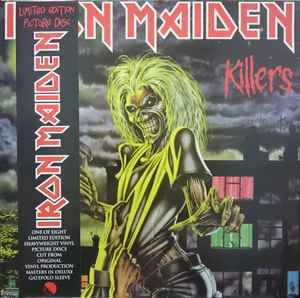 ℗ 1981 The copyright in the original sound recording is owned by EMI Records Ltd.
© 2012 Iron Maiden Holdings Ltd. The discs are manufactured from vinyl which includes pictures. By nature of this manufacturing process, sound quality may be compromised. Place of manufacture as stated on label. Marketed and distributed by EMI. Printed in the EU.